The operating regions are indicated by region_id. 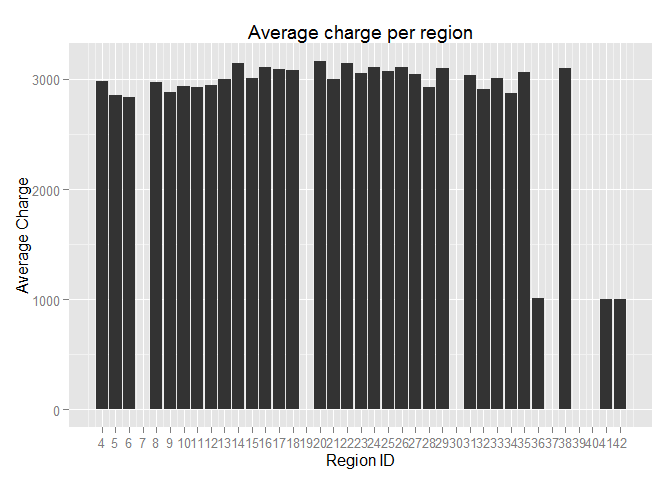 Generate a report of the average hourly_charge in each operating region as well as the overall average. 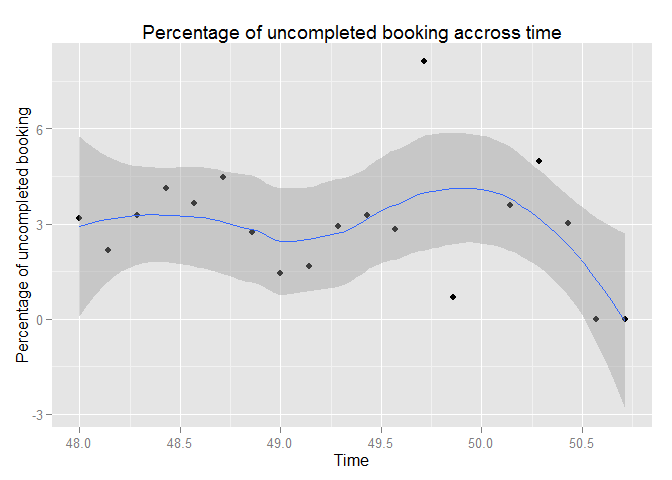 Assuming that a booking is completed if it is not cancelled by the customer and has no reschedule events, generate a report based on the calendar week (running Sun-Sat) of the number of bookings done, number of bookings done using coupons, total hours booked, and number of bookings which were cancelled by the customer. 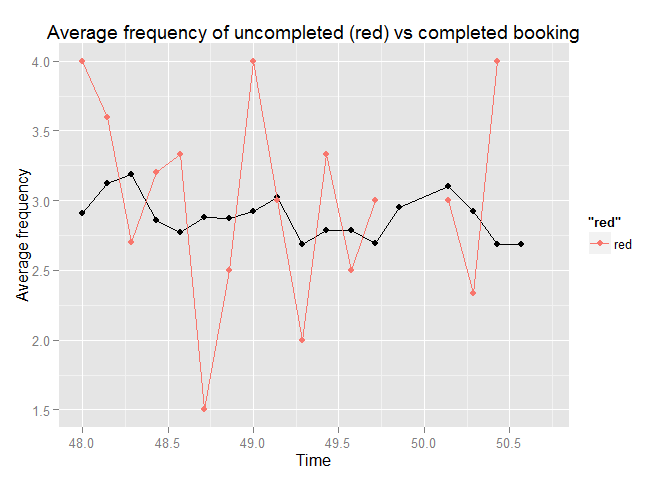 Recurring bookings are bookings which happen on a regularly scheduled basis and are indicated by recurring_id and a frequency (freq) indicating how many weeks pass between each booking in the series. 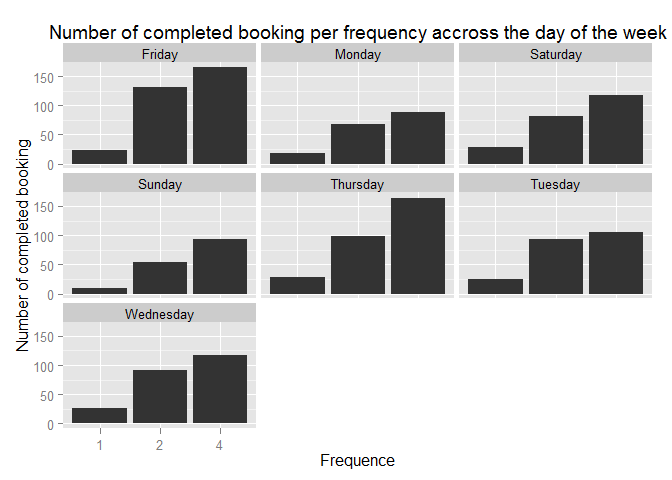 Determine the distribution of bookings based on the frequency of the recurring booking to which they belong across the days of the week on which they were completed. Say we have a problem with customers canceling and rescheduling bookings. Assuming all the bookings are from different users, pull metrics which you believe would give a general profile of these problem users. #If I had to pick one, I think it makes more sense to use the avg.overall one. #The way I understood the question was to ask for the day of the week (sun-sat) of the week number (in the year). I am not sure it is exactly what you meant. #Additionally, it wasn't clear to me if you wanted the report to be for the day of the week it was added or it was starting. I figured that added made more sense. #This question is kind of tricky because I did not know exactly one row entry mean and what the column mean. I guess it was part of the exercise that's why I didn't ask. #I have noticed that some date cancelation were after the start date and date start was always after date added. It made me assume that each row is for each customer, date added is when they added their order, date start is when they first start and frequencies indicate the  frequency of the task. Therefore, you can cancel after the start if your frequency is more than one. #I also assumed this report was to give information of "what have been done" which mean that the booking hours should be only to the one who didn't cancel. ##Please note that I could definitely have breaked down this query into string vars in order to not repeat myself. However, it was saying to use SQL. Therefore, I assumed I should do as if I could only do SQL in a terminal. #On this question, I am really confused. Do you want me to give you the  classification model using machine learning (I see there are train and test data)? #Do you want me to give you some descriptive informations such as the range, mean, variance..
#The first line says SQL, I will just give you some general information but please tell me if you want more. I can definitely do it if that's what you are looking for. 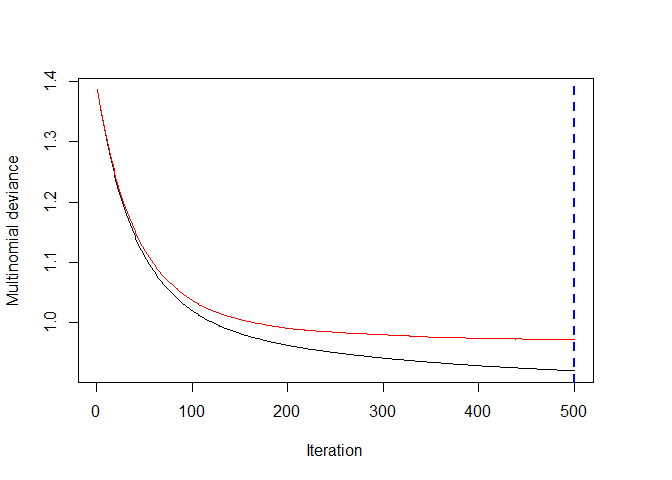 #We could use machine learning again with a binary response which would be canceled and reshudeled against normal or find a linear correlation using pearson moment correlation for example. #However, the way I understood the challenge was to only use pure SQL (without help from any programming language as if you where in a sql terminal) for each question which highly limit the possibilities. #Therefore, our metric should be able to compare both type of users. #Moreover, there is the notion of time. Was there a special event that made customers leave. 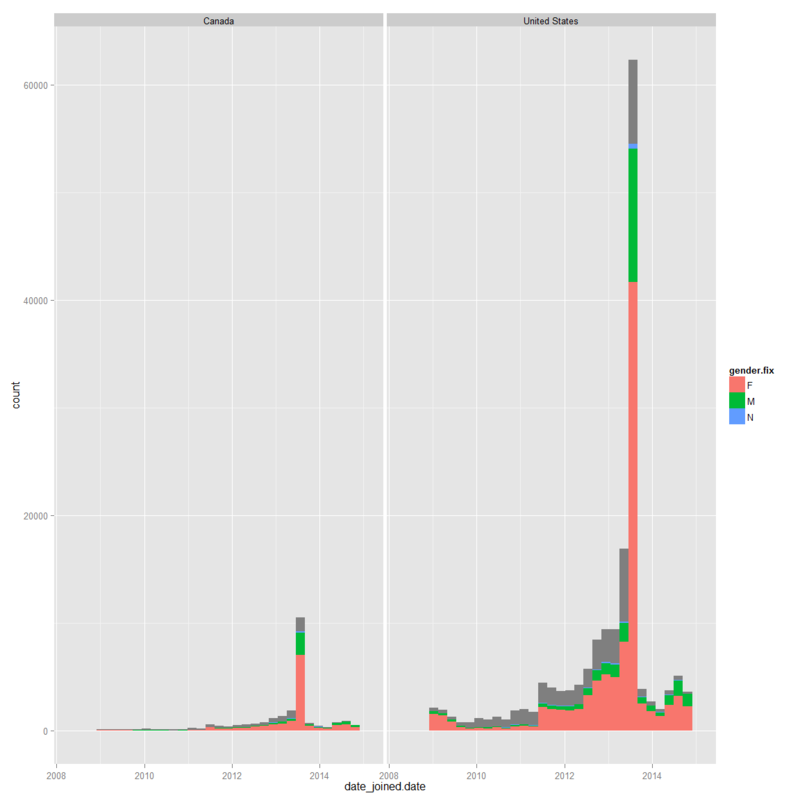 Therefore, a timeline of percentage of user leaving vs total user would be interesting. 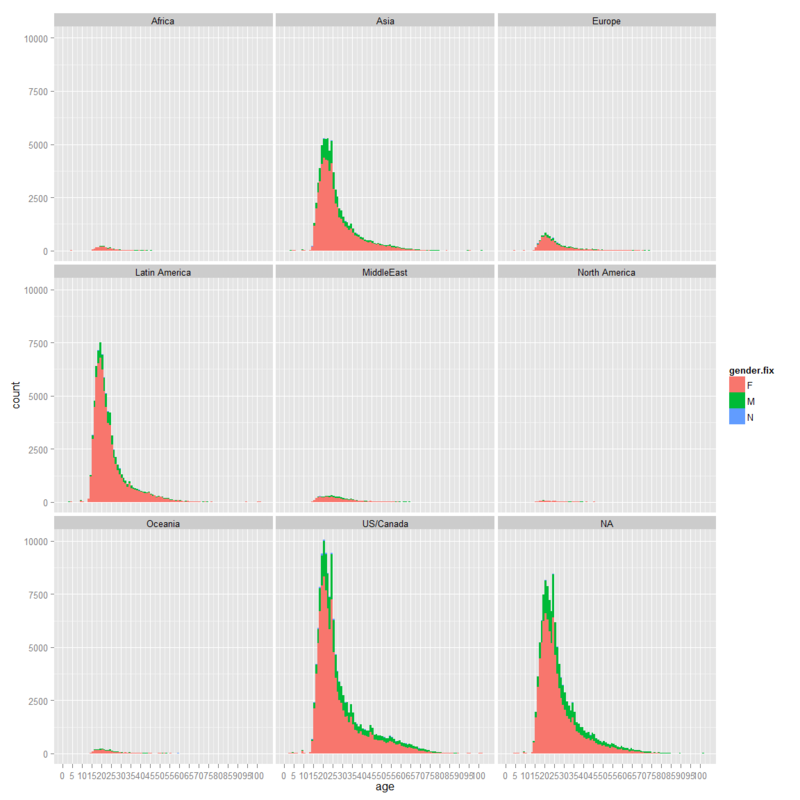 ## geom_smooth: method="auto" and size of largest group is <1000, so using loess. Use 'method = x' to change the smoothing method. 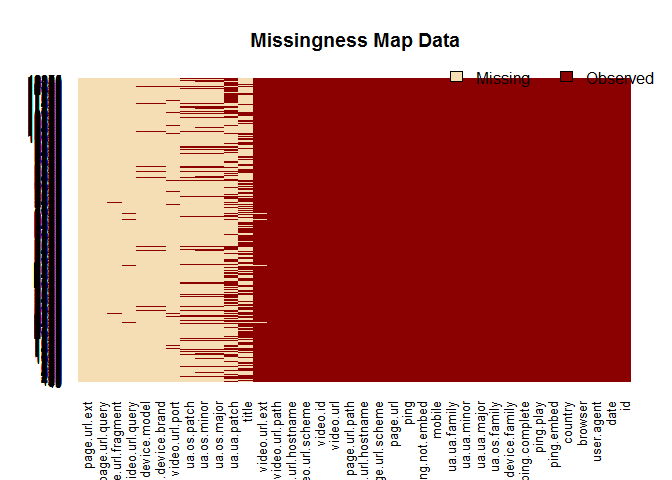 ## Warning: Removed 1 rows containing missing values (geom_path). ## Warning: Removed 3 rows containing missing values (geom_point). ## Warning: Removed 2 rows containing missing values (geom_path). #We can see that while the average frequency for the staying has a small variation, the variation of the one for the one leaving is really higher. We can conclude that the one staying have usually a freq of 3 while the one leaving have other frequencies. Therefore, we should promote having frequency of 3 to keep them. #Now, let's look at other interesting variables such as wether or not they have coupon (a deeper analysis of which coup trigger retention or not could be done as well),if they clicked for extra home cleaning, total chargethe region,if there was a campaign,number of provider, if provider is requested, if it was peak priced. #If I had to do it only with sql I would look at the average and the variance of each variable for the group leaving and staying. This would give me a good global idea if there are some odd behavior and which metric makes more sense. #However, I believe that the best way to know if someone is going to leave or not is to do preddictive analysis. Therefore, I'll be using a bit of machine learning. #I picked adaboost because it is supposed to be a great mix between accuracy and speed for high dim predictors with NA. #We could go further and look at the total charge, frequency, has_campaign, clicked_extra_home_cleaning, peak_priced, is_provider_requested, has_coupon. #However, this is mostly descriptive analysis which trigger less accurate result than the classification done. The question is: Tell us something interesting about the ping backs we receive from videos. 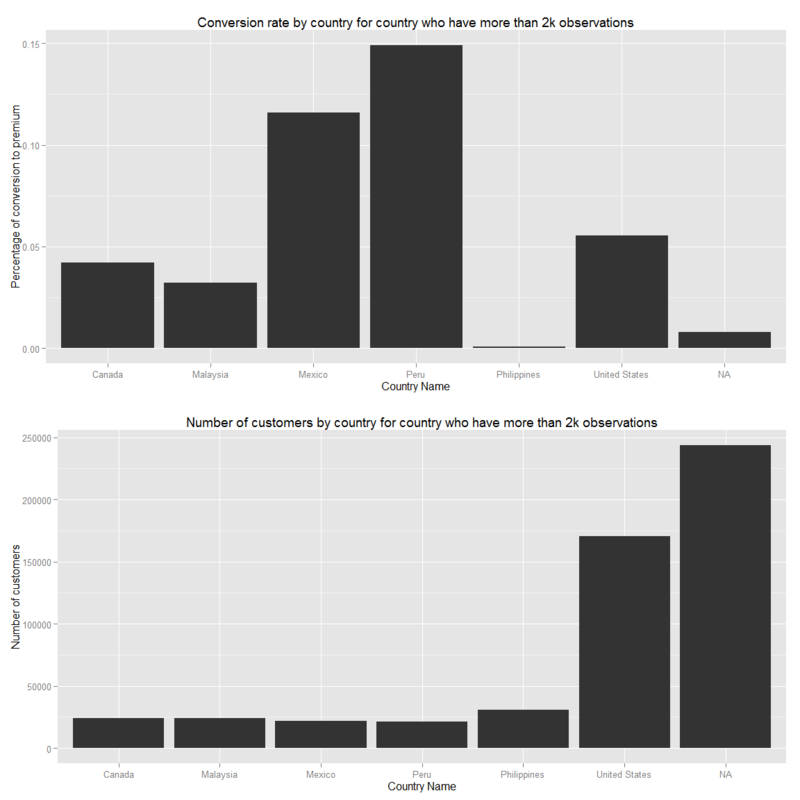 I picked R in order to do this analysis as it did appears to me that this is mainly an exploratory data analysis and R markdown + ggplot2 are very conveniant for that in my opinion. #Therefore, it doesn't give us any usefull information, let's remove it. The last call is a tought call which is, should I keep or not empty observation. In order to know that we first need to estimate the importance of them. 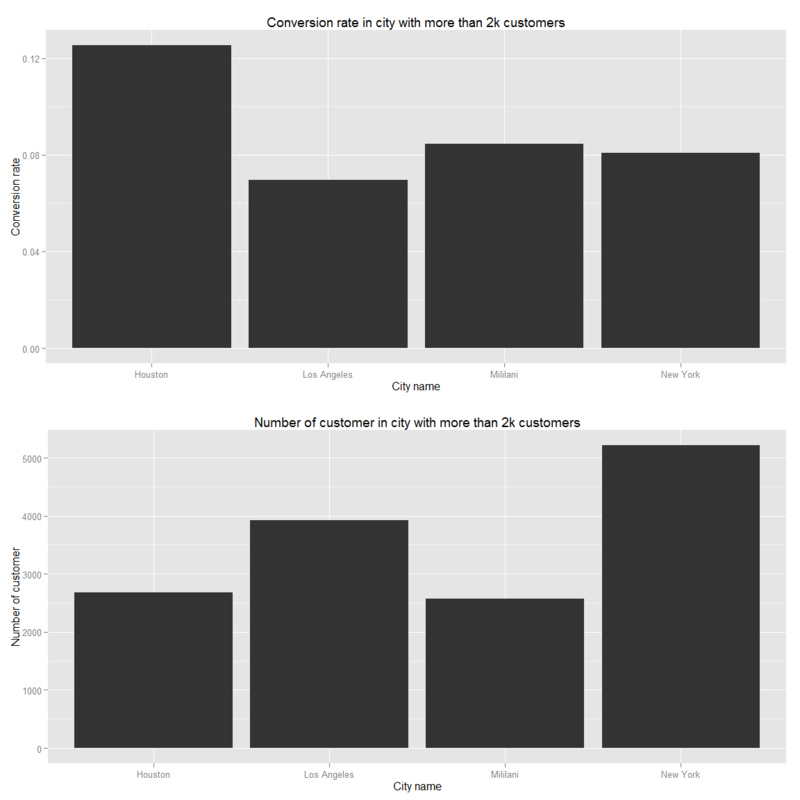 We can see that most data which are missing are from the data I generated. This is not actually a problem since they are mainly here to give extra information if we want to be very specific about a certain observation. Additionally, we can clearly see a pattern between missing value and if we take the column video.id we see that there are 0.895% of missing data which is really small.In addition for the video extension there 2.805% of missing data, this is relatively small. These 348 correspond actually to all the www.youtube.com videos. Removing it wouldn’t allow us to predict any ping from www.youtube.com. Where it becomes tricker it is for the title. There is 57.493% of missing video title. What to do then? A quick glance at the data tell me that there is no video with the same id but a different title. Therefore, when I am going to predict the data, I’ll just omit title which will overfit the model. As for video.id, I think it should be identified aside (using a knn or other model) to see if there is any special pattern that could explain it. The trickiest question, is should I or not remove the youtube videos which have no extension, by doing that I really impute the model from maybe usefull informations. I have decided not to. ####We will be looking at the ping. 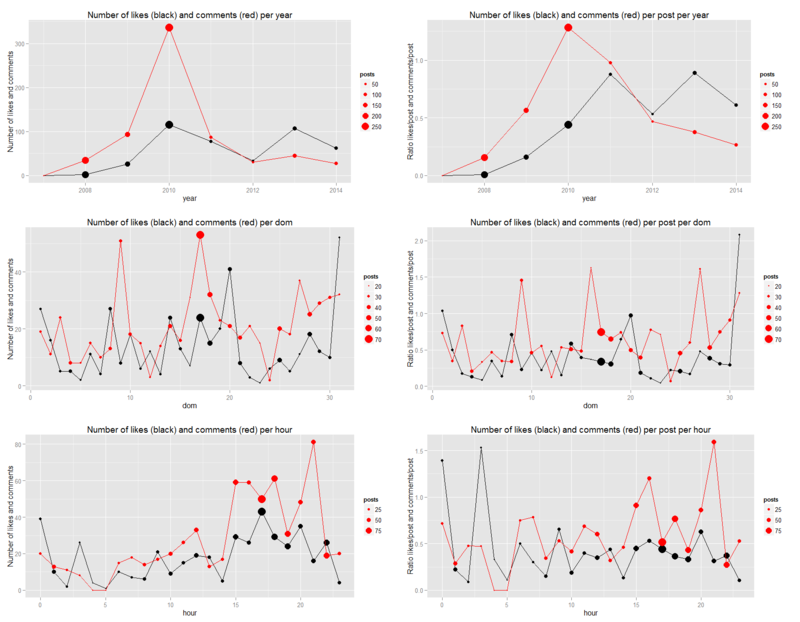 Can we predict it from our dataset? 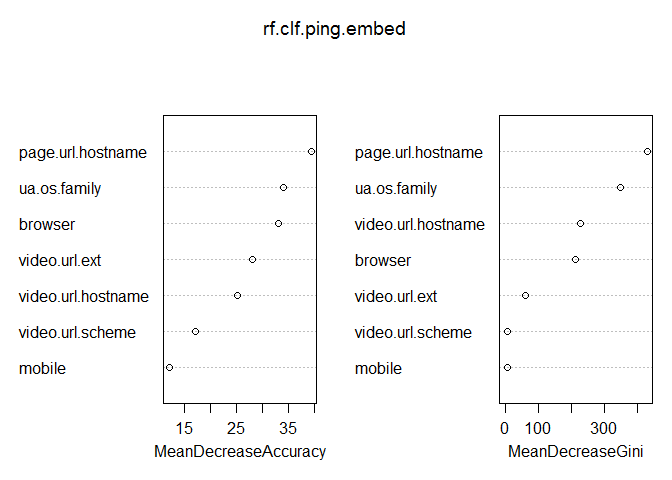 The idea, is to look if we can raisonabely predict some state of ping. If so, what are the important variables that drive our prediction. 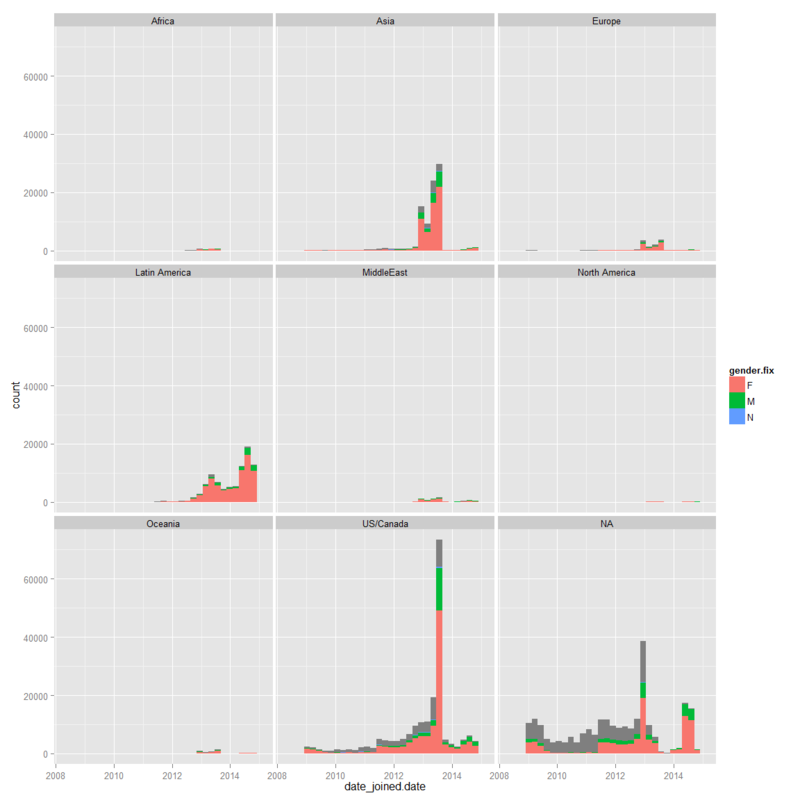 In order to do that I am going to use multiple classifier: Adaboost, SVM, GBM and randomForest. First we reduce the number of feature to only keep the one that have significance using a wrapper approach for subset selection. #This wrapper approach wasn't actually giving me better result. I assumed it was because of the highly unbalanced data. I ended up doing it myself with trial. 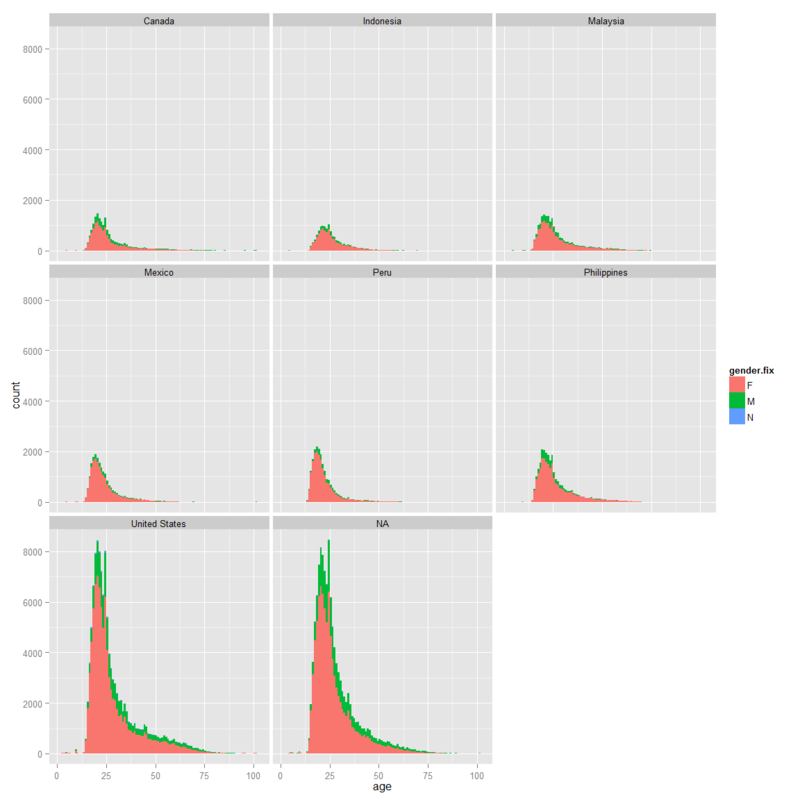 I also chose not to use another training sample for the feature selection as the data is already very small. 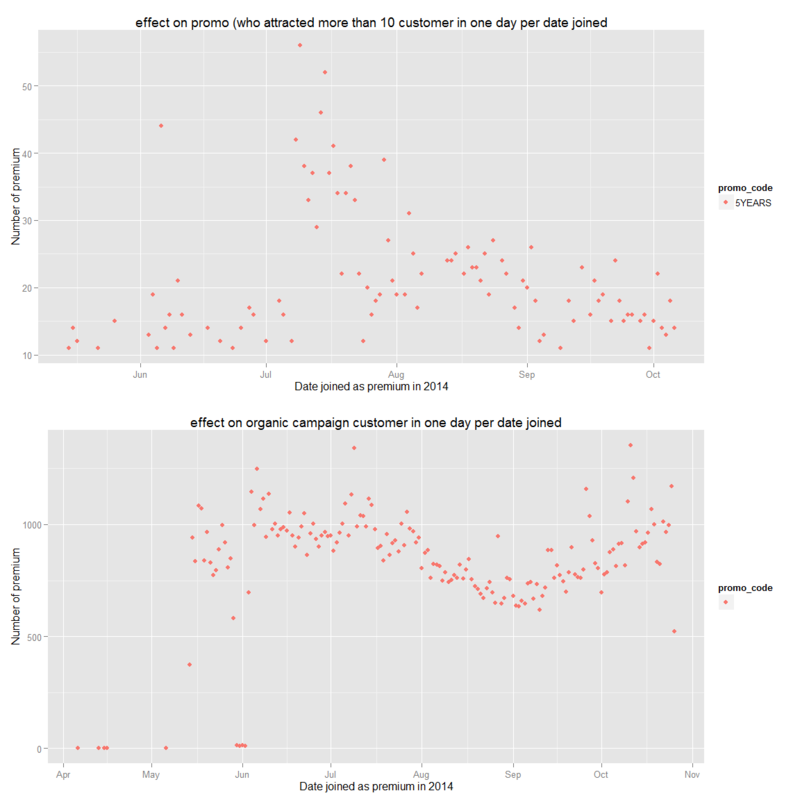 Finally, one of the main issues in wrapper method is overfitting and there are feature that are obiously overfitting/irrelevent. *id even though this one is interesting, the high number of factor (1355) make it a bad predictor (even using svm or gbm). #However, I didn't remove it as I think the feature selection is key to the process. Therefore, I wanted to show that I actually did work on the feature selection. If we look into their level we can see that we have features with very high dimensions. #I picked adaboost because it is supposed to be a great mix between accuracy and speed for high dim predictors. Note that usually, we try to maximize the accuraccy by adding/removing features when we don’t have a specific question (if the clf don’t do it for you). We can see that the model is correct (relatively moderately high Accuracy/Kappa). The model prediction is correct. 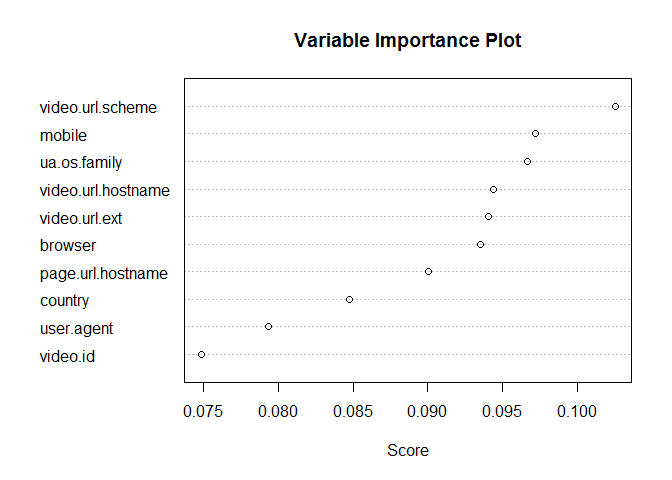 Let’s look then at the variable importance. influence the most the fact that we will or not load the video. Which is common sense since we might load (or not) the video if our mobile/computer can (or not) read a specific protocol. 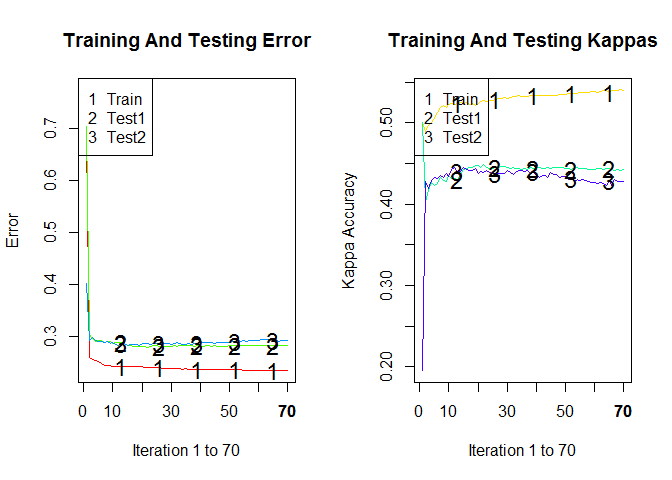 I am going to go a bit faster, I did check the iteration/kappa/accuracy of the classifier whch are correct. The confusion matrix is also correct. Therefore, I can show you the var importance. We can see that the country play an important role which did surprise me at first and then I figured out that it was certainly because the data was unbalanced. Then the classifier did put scheme and operating system. Kappa is really low and therefore the test failed has no meaningfull result. An interesting fact is that the sensitivity (with 0 (not) being the positive class) was really high for both of them. This tell us that the model is good to know when a video won’t be played or completed which is consistant with the two other states. Additionally, we can explain it by the high unbalance of the data. Adaboost was a great example, I’m going to go faster now for the other classifier. GBM is actually not working well at all here. 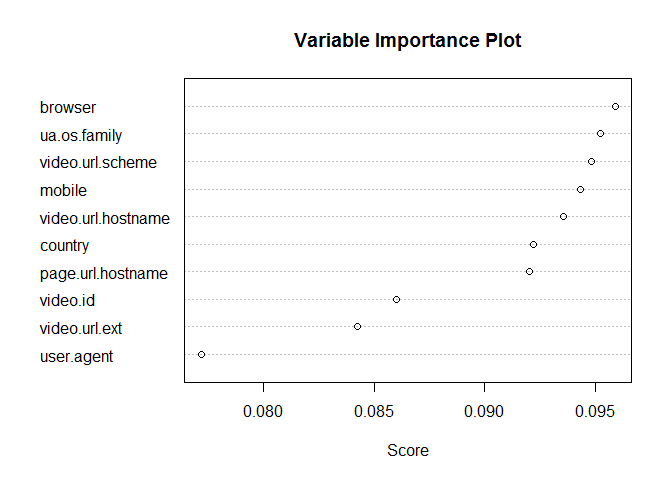 looking at its tree and summary we can see too much importance on the first variable. I tried to tweak the param a lot and chage the features but it just would not work for this model. I therefore, turned myself into SVM that is also well designed for a problem with few data and lot of dimension. #Things I didn't do: tune and tweak it. 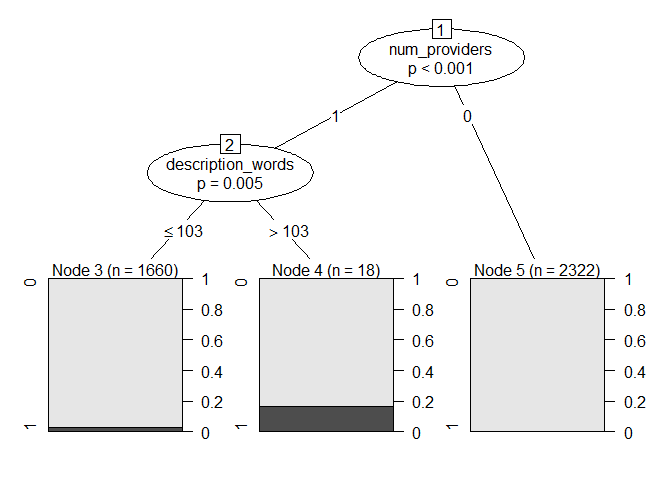 Looking at the prediction (confusion matrix), SVM offers slight betters result than adaboost. Finally, I was wondering what random forest would give me, just to be sure which feature to look into more detail. ##The idea behind using random forest was that it is a great tool for feature selection as well since the built in algorithm will automatically put aside predictor he doesn't like. ##really did not enjoy it. ##The main variable of interest was country, I could have transformed it into continent to reduce the dimension. My observation from the confluence matrix and the variable importance for its best prediction (which was ping.embed), showed me that random forest think that the OS,page domain and the browser are of interest. 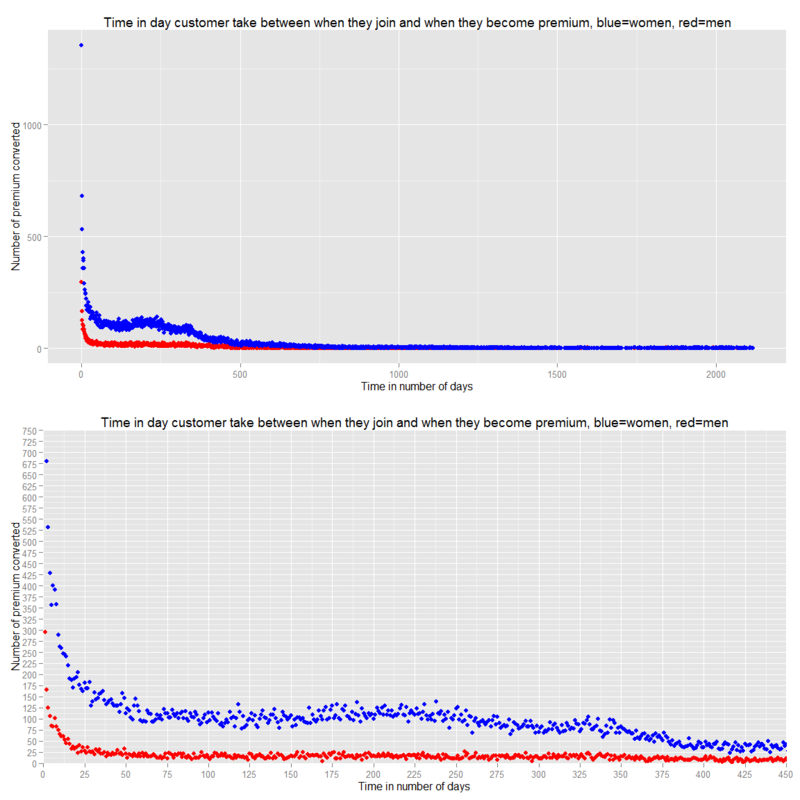 After many iteration on R with different ranking method, I found out that it wasn’t possible to predict if someone play a video or completed it with an accurate rate. I even transformed the response by creating a new variable “launched” (which was play OR complete) but the result weren’t better (using naives bayes or adaboost with many different feature combinaison set). I concluded that the information given weren’t enough and I could just predict if the video was embed or not embed. This is due of a set really too unbalanced. Nevertheless, I found out that the OS, scheme, page hostname and country were of interrest. The next step is to dig into these variables to find some fun informations. 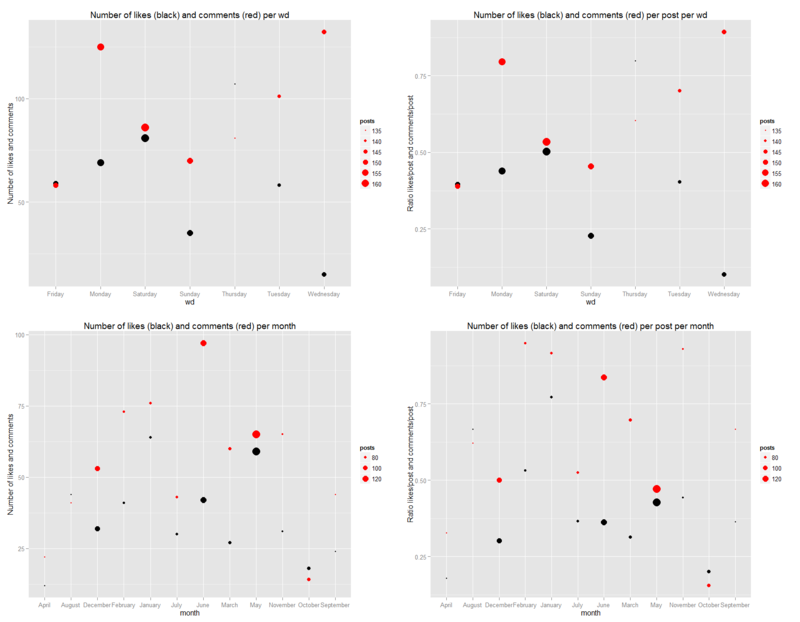 Since this analysis was supposed to be just a quick glance, I decided to just plot two three charts and not go into the detail. 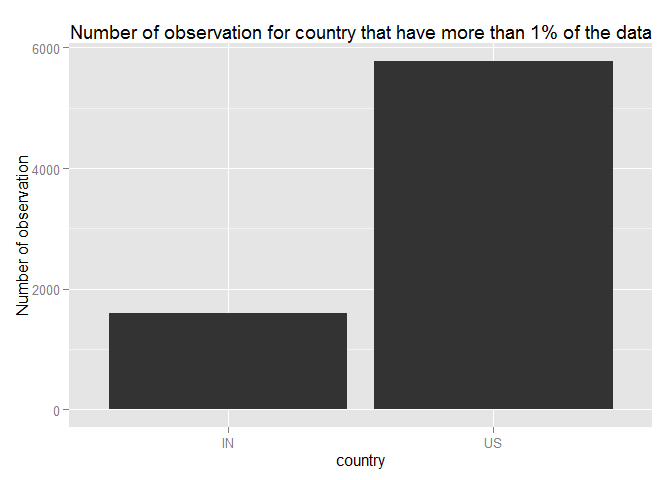 We see that our data is actually very highly unbalanced and therefore must be correlated to the american behavior. A lot more has to be done and now is kind of the funniest part. I quickly noticed that the US would either not load the video at all or play/complete it. Note, I didn’t had time to finish the analysis but here are some table that are interesting even if we should filter them first because sometimes we have only one observation. We will get my the posts/stories, and try to find out if there is some kind of relationship between the number of comments and the number of likes. The collection of my posts was inspired by https://gist.github.com/simecek/1634662 with some modification to adapt to the lastest (v2.2) graph API queries. ## "R"), : unexpected escaped character 'm' at pos 89. Keeping value. ## "R"), : unexpected escaped character 'o' at pos 51. Keeping value. Let’s group them by comments number and sum their likes number to have a better idea of the relationship. ## geom_path: Each group consist of only one observation. Do you need to adjust the group aesthetic? 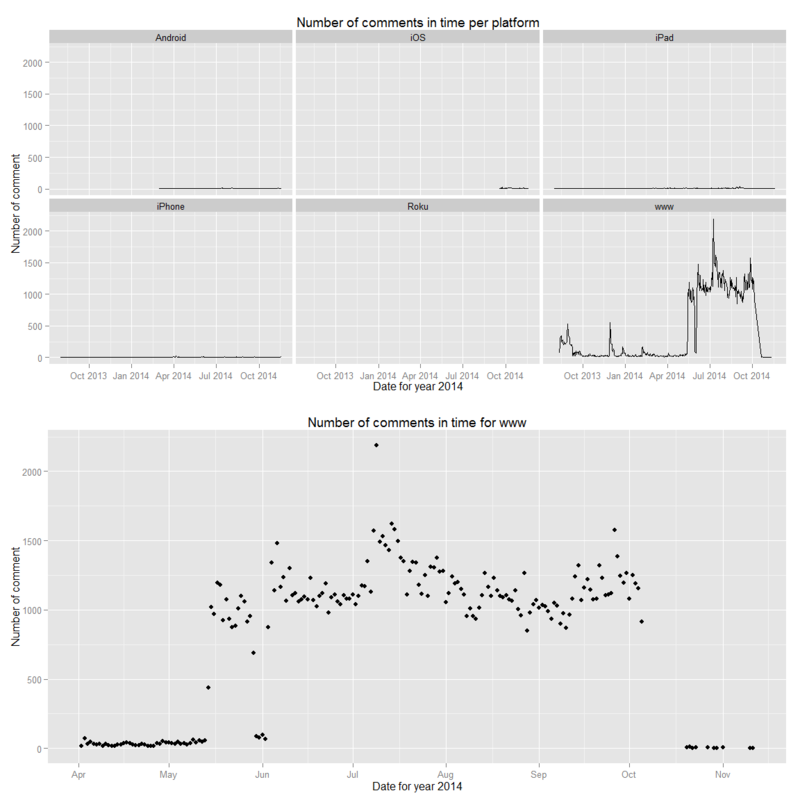 In my case, we can see that there is a higher concentration of low comment posts. 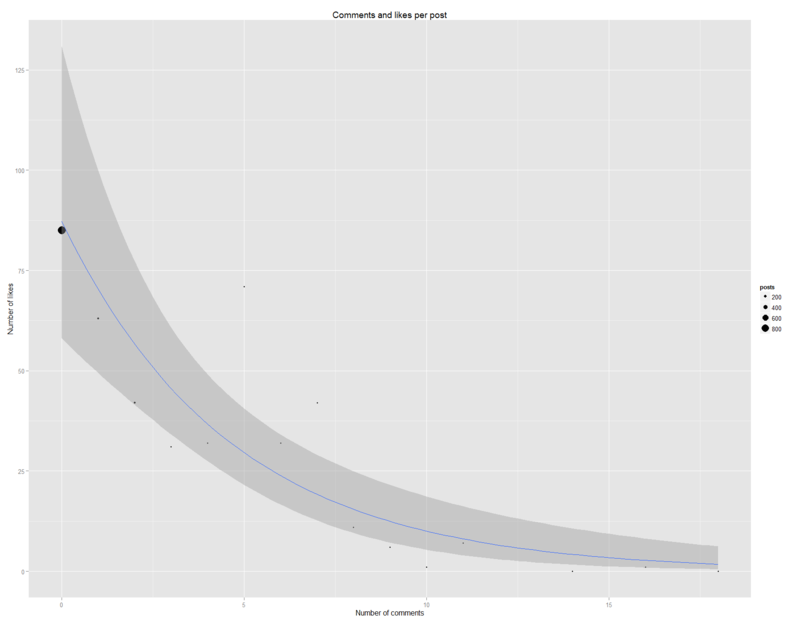 We can see that There is an inverse relationship with the number of like and number of comments. 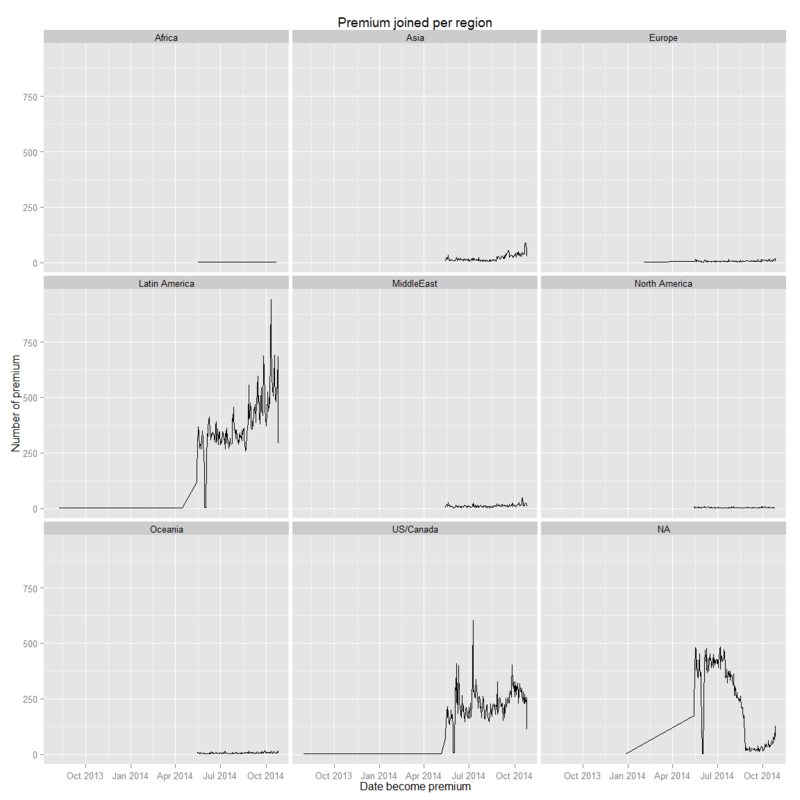 We also see some interesting relationship with the time series. This is the global set up for the code. ## UBIESE GUSTADO MÃS SUBTITULADO AL COREANO. ES MUCHO MAS BONITOOO." 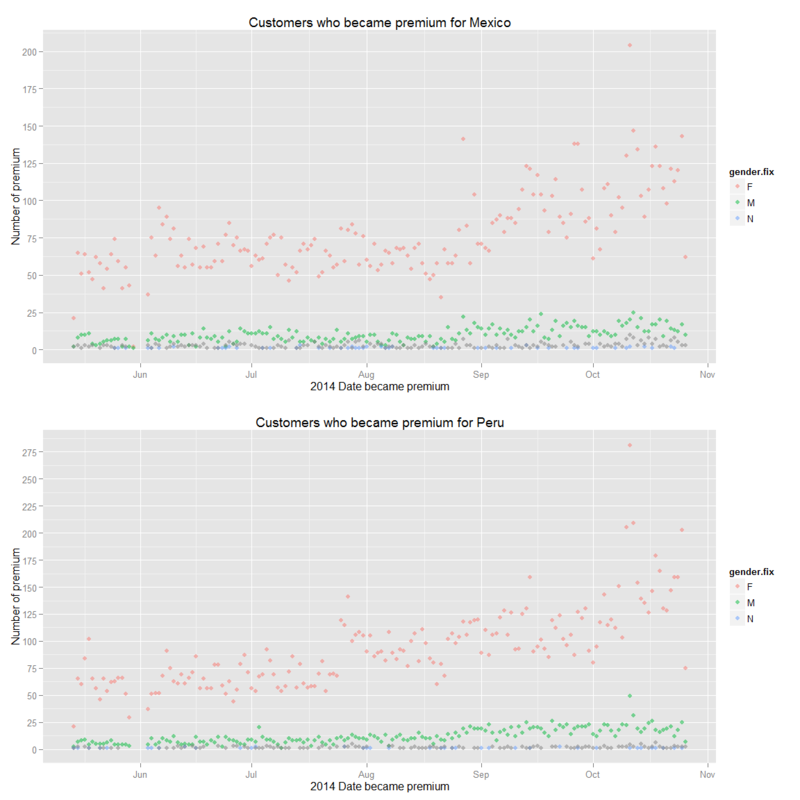 We can see that both country have more and more premium customers. These two countries are interesting because their growth is significative. If we look back into Latin America Chart, we can see that these are the one with significant amount of data that have the highest growth. Let’s look about the gender. we can’t see clearly but it seems that women are leading it and the gap stay constant let’s look into it. We can’t see that we actually don’t have much data which explain the difference at the end. Therefore, we can say that there is a majority of girls and there is no pick when they became premium in term of gender. Let’s now evaluate how long they generally stay premium. In order to do that there are different way to do it. We can look into the the next pay date. If the next pay date is less than max(last_active,last_login) (we assume someone either login or was active the last day the data were taken) it means they are not premium anymore because they don’t pay the premium membership anymore (assuming you don’t allow people to pay in more than once for other products). 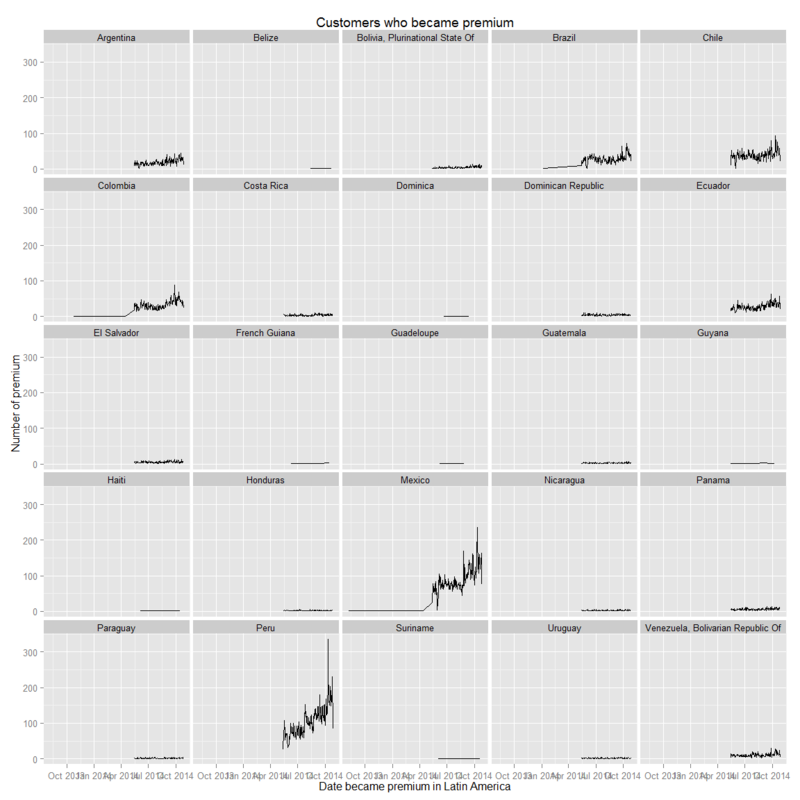 Another way of looking at it is to look at people who joined as premium (premium_since.date not NA) but are not premium anymore (is_premium=0). 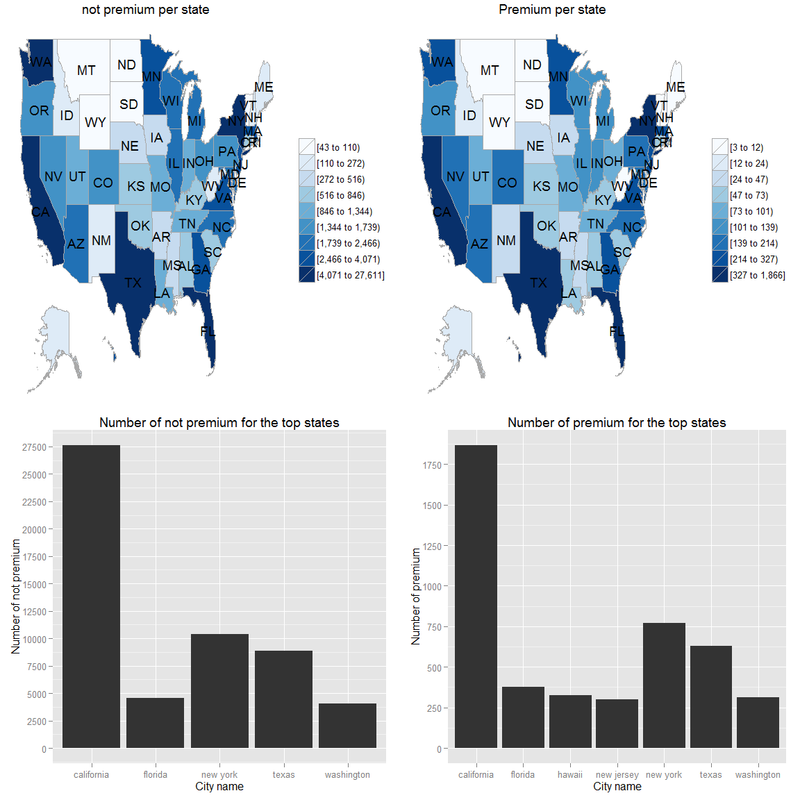 We have 3932 data that are reported to be premium but the next pay date is inferior as of the last day the data were taken. 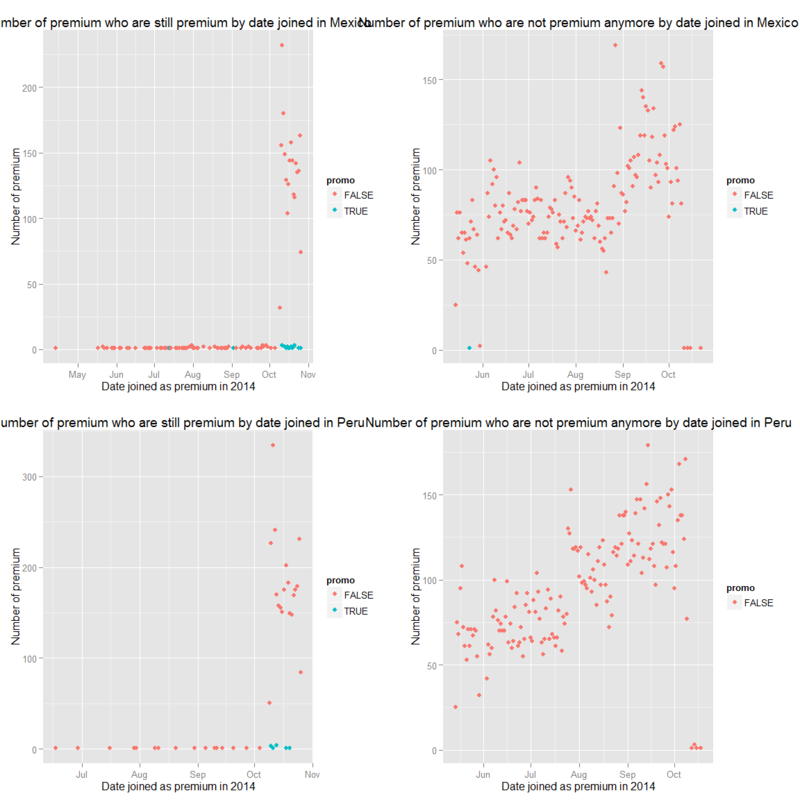 Additionally, we have 124247 which has been reported as being premium one day since premium_since.date is not NA and have the is_premium at false which mean they are not premium anymore. 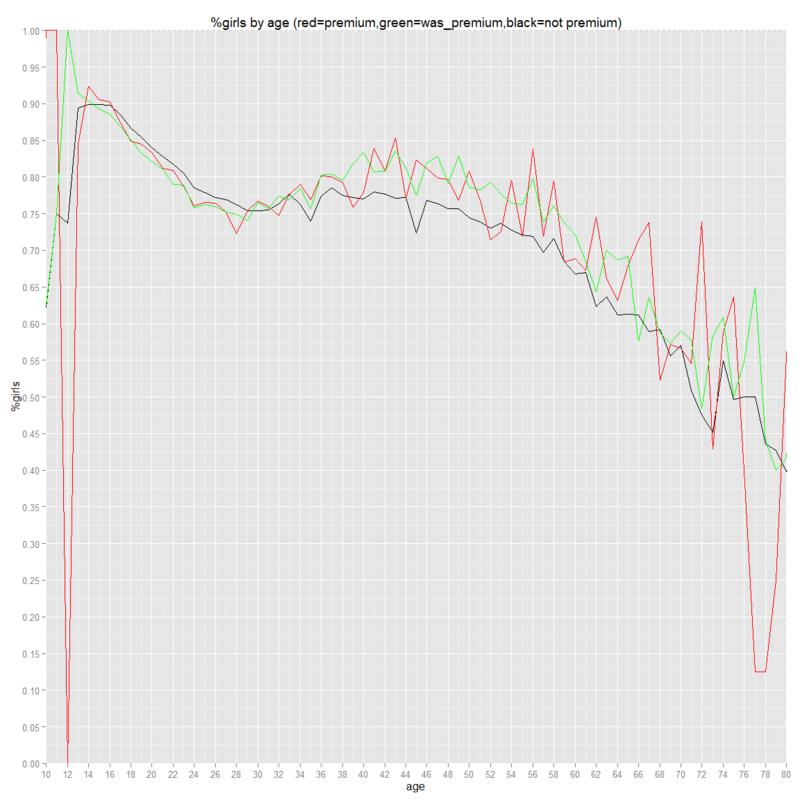 It is hard to make sens out of these data but we will assume that the boolean is_premium and the premium_since.date are more relevant than the first assumption since the first assumption assume that people pay everymonth when they might be able to pay once and leave and then come back. Therefore it could not be possible to monitor when they will pay next time. We can see that we don’t have much information concerning their subscription habit in term of frequency to pay. However, we have seen the in Latin America, Peru and Mexico. We have a majority of girls that stay equally in term of percentage compared to male with a market with a growing number of premium. Therefore, advertising specially for these two country could be interesting. Let’s look if they are more attracted by one promo rather than another and also what kind of subscription they register to. 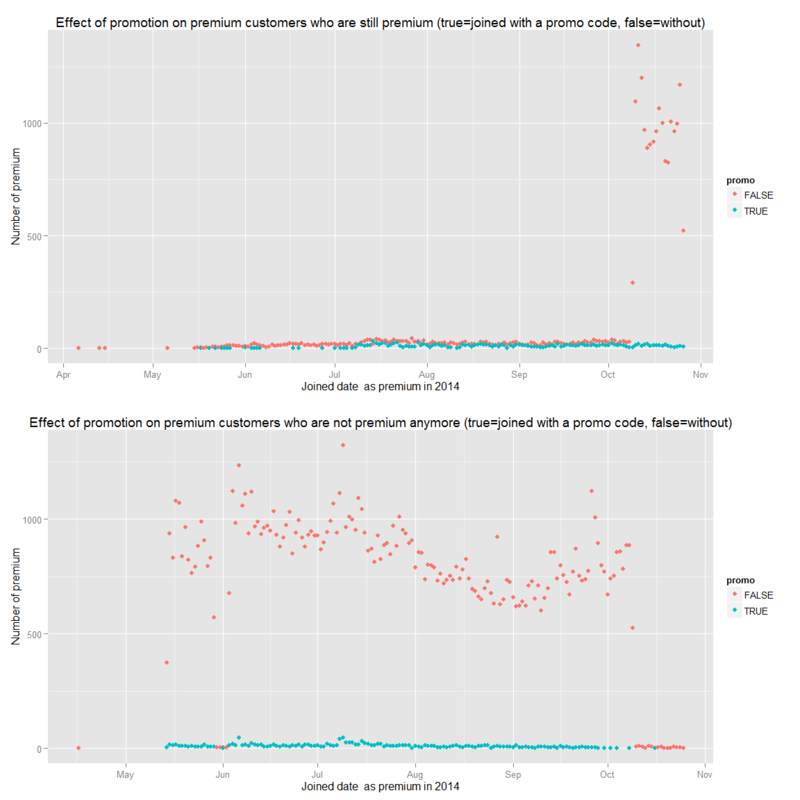 We can clearly see that user who decided to stop being premium are the one who didn’t join with a promo code. Therefore, in order to retain our user, we should make sure that they join with a promo code. Let’s look into Peru and Mexico. We can see that there is not one person who joined with a promo code and is not premium anymore. 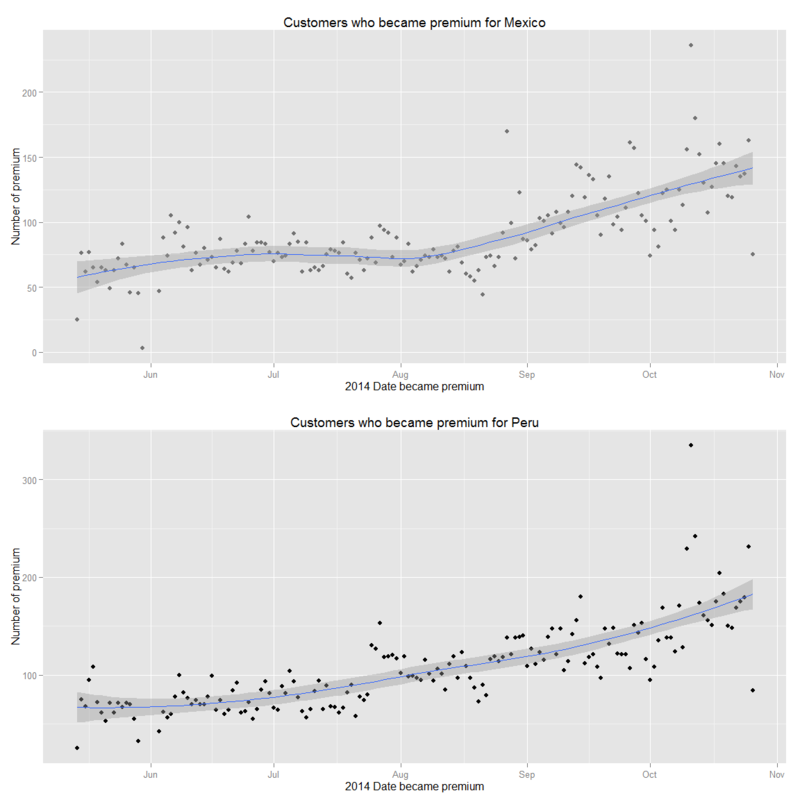 However, the effect of promo code in Mexico and Peru is very low. If we assume that we didn’t do special marketing campaign on this demographic area, we should then consider doing it for specially these two countries because this is how globally we retain our customer from leaving. Let’s look at successfull promo. 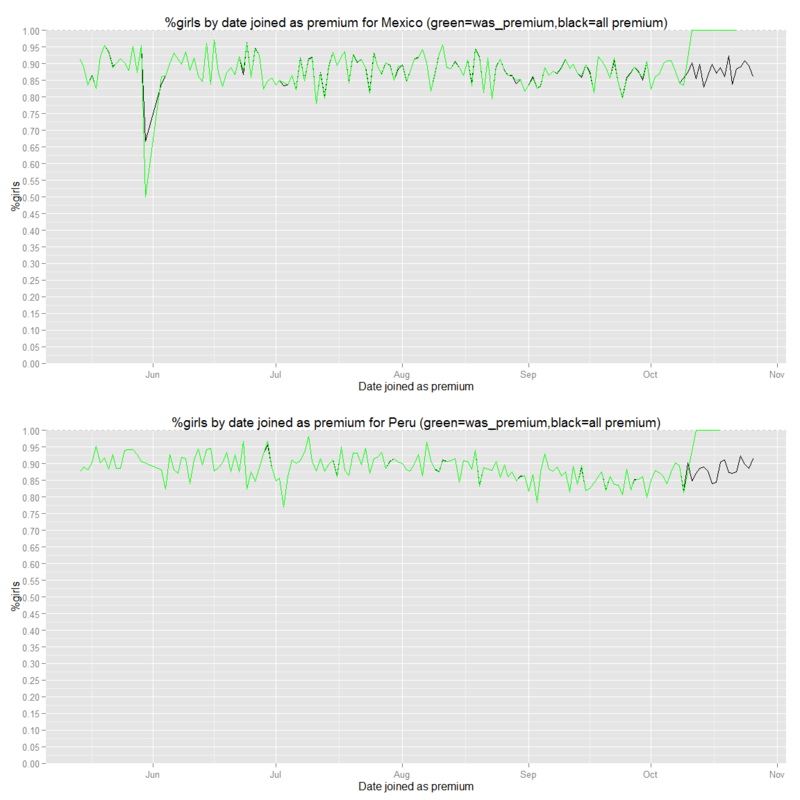 We can see that the 5 year promo was the most successfull promotion and organic premium seem to be affected by the season (less in summer when they go in vacation). Therefore, I’d recommand to do more marketing as the 5YEARS promo marketing campaign and targeted marketing to Peru and Mexico that respect their values. ##Let’s look at their age. Let’s now calculate their age and look at the global trends. We can clearly see that woman are more attracted to our product and that our main customers database are between 18 and 25. We can see that Latin America have way more girls in percentage than boys than US/Canada. We can see that we can’t get the country id. However, there are too many data in these rows. We can’t ignore them. Since, we want to see globally if there is a country that have more men than women, let’s keep it. We can see that our main customers are from Canada, Indonesia, Malaysia,Mexico, Peru, Philippines and USA with an important number of unknown. There isn’t a main difference globally. Now let’s look in term of monetization. We can see that globally the trend is the same except it seems like there are more men that monetized than girl compared to the custumer not premium. Let’s look into more detail. The 19,31 are our main customers and there is no significant change in term of conversion rate or gender for them. 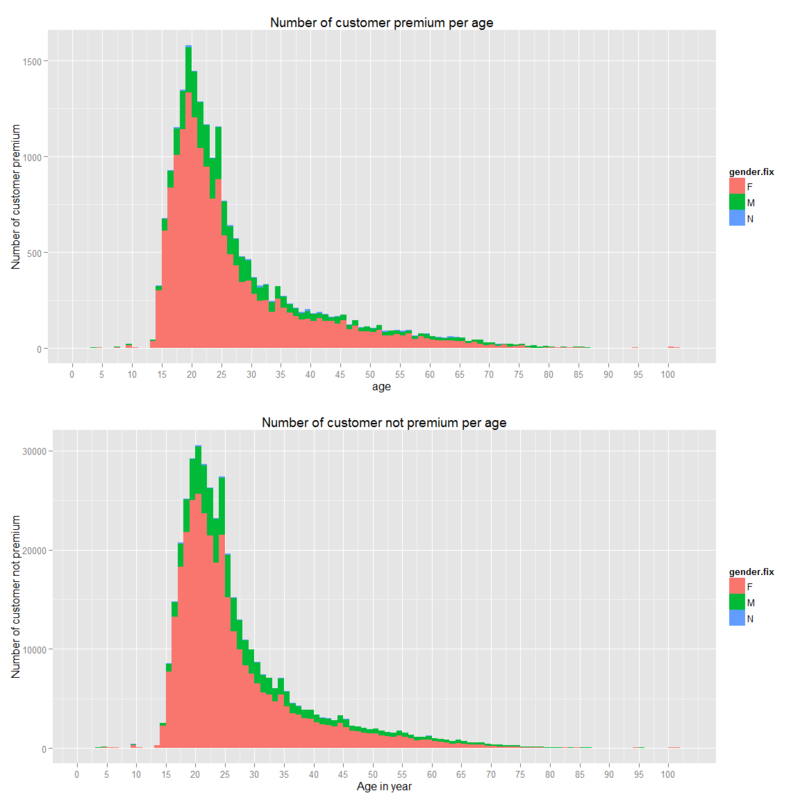 However, we do not convert them as much as the older customers. We also see a high conversion rate for the under 18 (with a pick at 12), which might be either fake data or the parent that pay for them. Therefore, it is harder to convert 19,28 but we have a bigger pool of data for them. It seems also that the gender has no effect on the conversion rate. Now let’s look if there is a notable difference in term of percentage of girl that is/was premium and the one who are not. 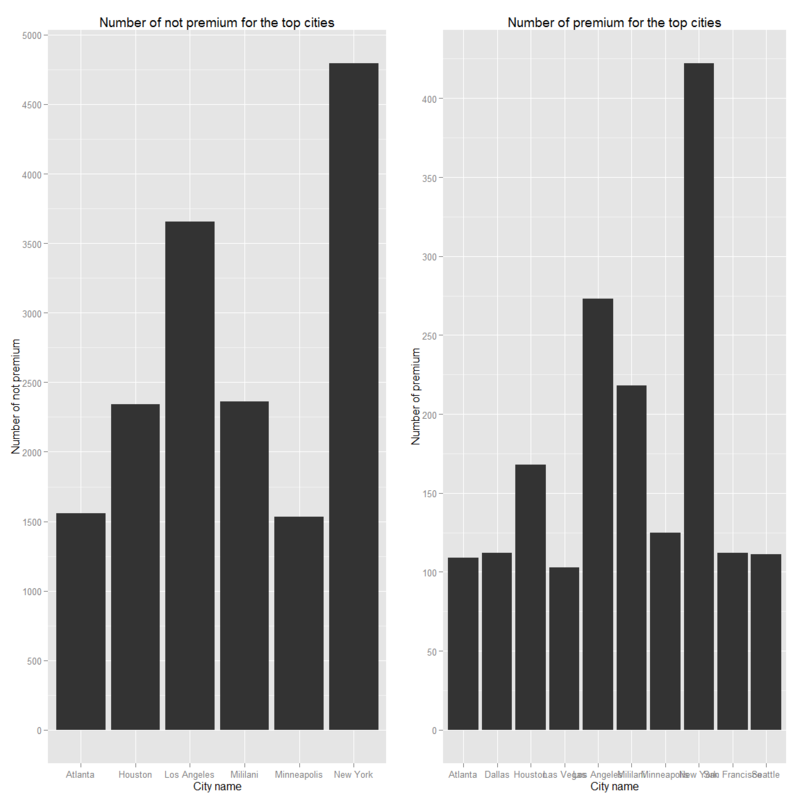 We can see that in proportion we have more girl than guys that are premium than not. 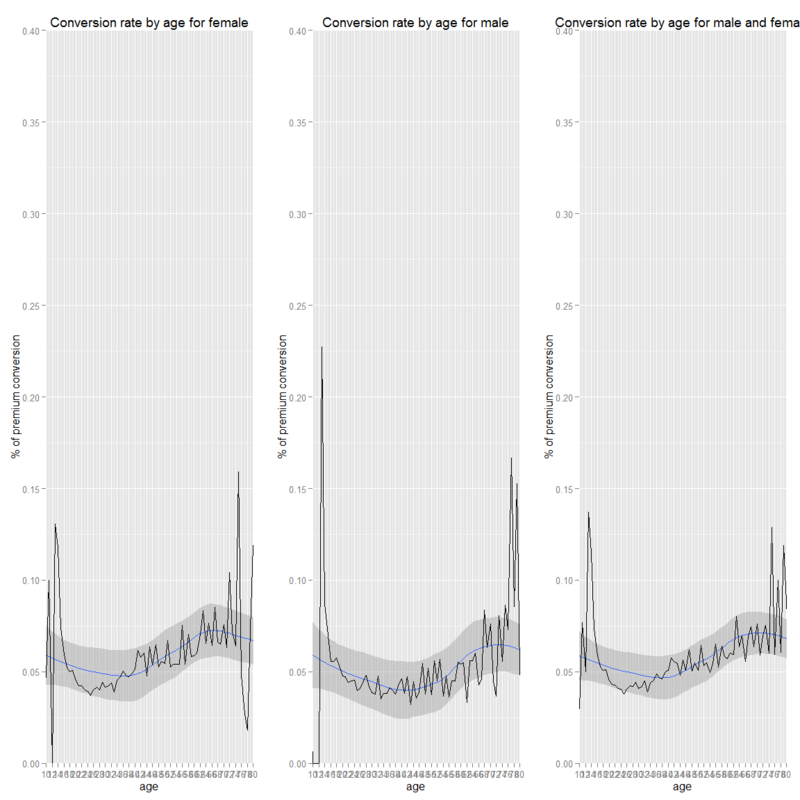 Moreover, girls tend to convert more than guy especially when they get older. Therefore, girls who try our product are more likely to become premium members. 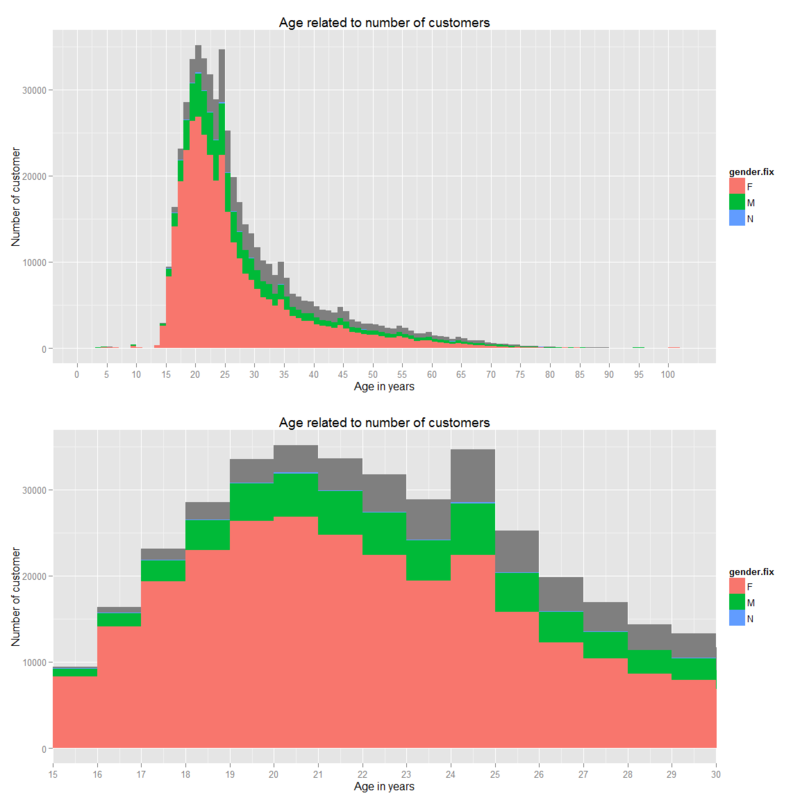 Finally, we can see that there are more boy than girls that join our website as they get older. An assumption could be that they do register for their kid and the male do it as (regretfully) male still have the more income than women in average in couple (at least in Europe: http://www.theguardian.com/world/2014/mar/06/french-married-women-earn-less-male-partners). Therefore, we can conclude that we should also do target marketing our advertisements for couple who have young children and especially the male in the couple who is 50+. ##Where is our conversion rate the most important? 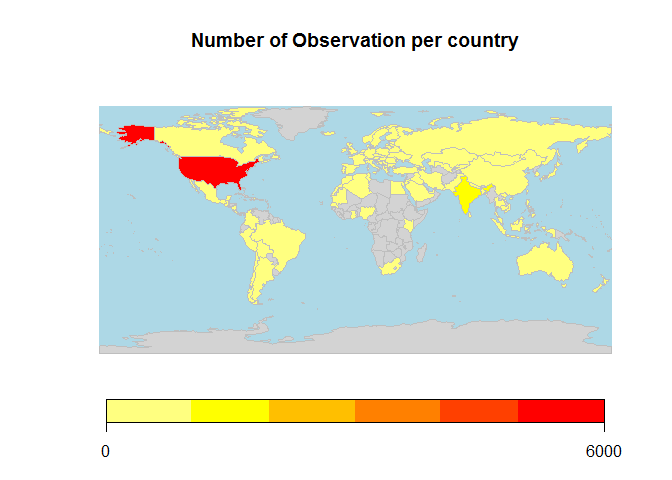 We can see that USA, Peru, Mexico, Canada are our main customers as we said earlier. Let’s look who got the best conversion rate (people who have the best ratio premium/customer base). 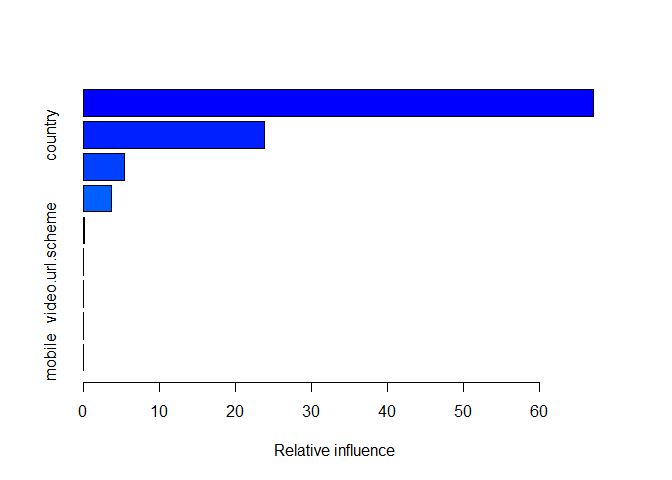 In order to do that we will focus on these who have enough observation in order to it to make sens (>20000). As we have seen so far, Peru and Mexico have very high potential since their conversion rate are the highest. Canada and the USA are following them. However, the USA has way more customer than the others. Therefore, focusing on them primarely make sens. Additionally, we should look into demographically where these users are to do special targeting campaign only for these cities. ## Scale for 'colour' is already present. Adding another scale for 'colour', which will replace the existing scale. We can see that in the USA, we should focus on Houston and New York that have respectively the highest number of conversion for a “big city” and the highest number of customer. If we keep our logic, we should try to attrack young female people with promotion. Churn tell us that we have to focus on our www platform as it is our highest. ## stat_bin: binwidth defaulted to range/30. Use 'binwidth = x' to adjust this. We can see that they become premium in the first year and the more we wait the more unlikely they become premium. Therefore, we should focus our advertising to new user extensively.